Please refer to the Position Description for further details. Are you passionate about advancing the rights of women with disabilities? 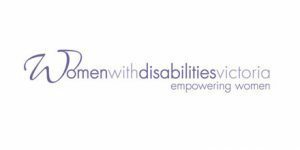 Women with Disabilities Victoria is a vibrant organisation of women with disabilities working for women with disabilities in Victoria. We have a disability friendly work environment. Please quote in application: Workforce Development Officer – Sexual and Reproductive Health via Pro Bono Australia.